Have you ever been invited to someone’s home for dinner, but not eaten any of the food? Only sat there and watched them eat? What purpose would that serve? That is exactly what the Governing Body of Jehovah’s Witnesses do. They invite millions of people around the world to come to the Lords Evening Meal…and watch them eat. They make sure all pass the bread and wine, yet encourage the majority not to partake. Why is so much importance attached to holding the plate and glass and then declining to partake? This is what each attendee does, including the speaker. One of the elders hands him the emblems and then he hands it back. Perhaps some would even say that this is a clear and open rejection of the emblems. All the elders who pass the emblems to the crowd turn around and then pass them among themselves as if to make clear to all that this is what the majority should do. Admittedly, in a few Kingdom Halls the speaker or one of the other elders is of the “anointed” and does eat and drink, but this extremely rare. Why do they do this? Is this a scriptural way to conduct the Lord’s Evening Meal? Why is it so important to hold the emblems and then decline to partake of them? What purpose does it serve? How many of you as a JW ever felt good about passing these emblems? Did any questions ever run through your mind? I know I certainly had questions. I always asked myself why do we all need to touch/pass these emblems? If we are not to partake then why does each one of us need to be there? Do we invite all those we know and make the effort to be present and then not participate? Why can’t those who will partake just raise their hands and then receive the emblems? Why do I need to touch it and then pass it along? I never understood this at all and felt something was seriously wrong. I have invited others to attend and few did but one I remember was very perplexed by this and said it appeared to him as a “rejection ceremony”. I will never forget that. He even asked me why the speaker had to hold the emblems and then pass them back. I was beside myself because this bothered me too even though I never said anything. I had no answer for him. If you aren’t going to heaven and you don’t need to pass the glass to someone else, why take the glass? I couldn’t answer that. So I didn’t. My row came up in its turn. The sister next to me—a sweet woman in her 60’s, next to another single sister in her 70’s, braced herself. The 70-something reached up to capture the wine glass . The 60-something instinctively posed her hands like she had just released a basketball. Even I held my breath during [the] arthritic transfer. Then it was my turn. But my hands stayed folded in my lap. My neighbor just stared a question mark at me, trying to nudge the glass my way without spilling the wine. “Oh, no, I’m not anointed. I don’t partake.” The words calmly poured out of my mouth even though I could feel the eyes on me. The elder attendant tensed, [deeming] me the “dangerous kind”. But I wasn’t…anymore than anyone else here was. And that is how I broke the ritual that night. When the unleavened bread came, I got a sidelong stink-eye just to confirm my blasphemy. And after the Memorial the sister was neither sweet nor kind, just ready to get out of that row and let me leave. I think I saw with different eyes that night. Maybe I don’t have a respectful attitude, but I don’t see how I was out of line. I like ritual. I just don’t like hypocrisy. And passing a full glass of wine around like a masochistic AA meeting seems stupid to me. Why not just leave the wine and bread on the table and let the anointed come up? It takes about 15 minutes to cover the whole group. Then the attendants, who have been conducting the wine the whole time, pass the glasses to each other. Who invented this stuff? I know there are some old and infirm who can’t attend, who will have a special ceremony right in their room. Emblems and all. Pass it around, no drinking, everyone feels better. If this is a spirit-directed practice, what spirit is it? Would God’s Holy Spirit direct us to go beyond the things written? The Memorial celebration was instituted by Christ himself and he asked all his followers to partake. Where in scripture does it indicate the practice that JW’s carry out today, namely that the vast majority do not partake? Is this what they do? They teach it is a command for all JW’s to attend this memorial and then are told to disobey that command with what some have called a ritualistic rejection of these emblems that represent Christ blood and body that he gave to cover our sins. Right after they read Jesus’ words to “Keep doing this in remembrance of me” they are told not to do the very thing that would remind them of Jesus, namely partake. If the majority of Jehovah Witnesses are not in the New Covenant then why are they invited to this meal? Is this some kind of spectator sport that Christ instituted? Apparently the leadership of JW’s think so. As they were eating, Jesus took bread, blessed and broke it, gave it to the disciples, and said, “Take and eat it; this is My body.” Then He took a cup, and after giving thanks, He gave it to them and said, “Drink from it, all of you. (Mat 26:26-27 HCSB) It also says “All of you” in the New World Translation! If their are two classes of Christians, those who attend but do not partake, then why didn’t Jesus ever mention this? Clearly the practice of not partaking is against Jesus command for all of his followers to partake! Over a year ago JJ wrote an article about Memorial 2012. May God bless all of you and keep you in his love on this next Memorial celebration, April 5-6, 2012.
ill be partaking the emlems as i did last year at home with my familyi beleive as you do that all should and dont understand why we cant,please anyone if you can tell me from scripture were it says that we cant then il not,i was always told when asked that i couldnt take them becouse i had to be3 an anointed as the deciples were but were does it say that in the bible,it does say that do it often it doesnt say only once every year either,the churches do it ever sunday,why are they wrong in doing so were does it say in the bible that they are wrong for doing that,i do know that when i was attending a catholic church when i was a teenager i was told i could not partake untill i was baptised then i could,the more iv been away from the jws the more confused im getings, my son had a study other day first time in years, him and his sis have been invited to the memorial by sis and bros,they are going.they are grown up now live else were so a few sis and bros go to there house on the min trying to draw them back. The early Christens celebrated it (the Lord’s Supper)every Sunday, and all partook. They also took up a collection for the poor. 1.Cor 16:2 – On the first day of every week, each one of you should set aside a sum of money in keeping with his income, saving it up, so that when I come no collections will have to be made. Acts 20:7 On the first day of the week, we gathered with the local believers to share in the Lord’s Supper. Paul was preaching to them, and since he was leaving the next day, he kept talking until midnight. The JW celebration is more akin to a BLACK MASS, where Christ is repeatedly rejected over and over again. Truly this is a very very twisted religion! So very sorry I ever had anything to do with it! I am working on a project letter for wich I will submit to the gb, I have come to a crystal clear understanding that all true Christians “annointed,Gods sons,Christ’s brothers,etc,etc. the spiritual laws that Paul establishes in Romans/Hebrews would make it an impossibility to be counted as a Christian and not to counted worthy of all that it entails Eph 4:4-6 your conclusions are correct.We should all partake unless we have life in ourselves we must partake of the flesh of Christ to inherit everlasting life! This is something that many of us would like to hear more about. thousands of of us that are “dissidents” of the Watchtower are sighing and groaning over what they have been doing. How many letters must they receive before humbling themselves? Will they continue to harden their hearts as Pharoah did? Sobering. Especially in view of the fact that the term ” Great Crowd of Other Sheep” does not exist. This is something that all who claim to follow Christ must give more than token consideration, and I mean all, not just JW’s. Andre, I would love to read your project sometime. Greybeard, very, very sobering and thought-provoking. I know our heavenly Father appreciates your efforts. Yours too Andre. It is all a joint effort on this website everyone included! I have been thinking about the Memorial celebration among the JW’s and this question popped into my mind. If the gates of heaven are still open and the generation that Jesus spoke of is an overlapping one according to the latest light, then why are they still counting the number of partakers? What does it matter anymore? In the past the number of partakers that were noted and used to be sent to headquarters was sort of a cosmic number indicating the nearness of the end. So repeating my thought, what is the point of noting the numbers of partakers at this point in time? It all seems so inane and perfunctoral and without a shred of thoughtfulness. Actually I believe that counting the numbers now is working against them as it was used to show how close we are to the end… I would not surprise me if they stopped in the near future. This is why JW literature invites the public to an “observance” , rather that to the celebration in memory of Christ’s death and resurrection . Sometimes one who has been invited from the territory partakes of the wine and the bread . Afterwards , when a child asks mommy or daddy why that man ate and drank of the “emblems” , the parent will most likely reply something like , “Well that wasn’t a real anointed man Suzie . He was just a confused man who doesn’t know ‘the truth’ ” . The TRUTH is , he probably knew the truth better than the parent who answered this way . In time , all will understand better what our Savior meant when he shared these symbols of his body and blood with his family on Earth . Those who will live in the Kingdom of the Christ will accept their part in the covenant for the Kingdom , and will partake . Those who are not accepting their part in the covenant will miss out in that close association . “Who invented this stuff?” . Just imperfect men who don’t have much spirit from God . I can’t help but remember Jesus words about not drinking from the vine until he returns and drinks it with us Matt 26:29. Not sure 1 Corinthians totally ends this celebration…. It seems that this celebration was a place holder for Jesus, ensuring we remember him until he returns…. Possibly similar to mothers who continue to set the table for a kid who has gone off to war/college…. Keeps the idea of return as a vivid reminder. Thoughts? You have this right “Notimportant” one . Our Savior said that as often as we do this , it would be a remembrance of him . It would obviously be a long , long time in our terms , until he would return . This season that brings us to the memorial of our Master’s sacrifice , is such a good time of year to ponder over all that it meant . I’m about ready for His return . Are you too ? I can’t help but remember Jesus words about not drinking from the vine until he returns and drinks it with us Matt 26:29.Not sure 1 Corinthians totally ends this celebration…. It seems that this celebration was a place holder for Jesus, ensuring we remember him until he returns…. Possibly similar to mothers who continue to set the table for a kid who has gone off to war/college…. Keeps the idea of return as a vivid reminder.Thoughts? Interesting that you mention that. I still attend meetings and was reading that very verse. It seems that Jesus is saying that he will drink the product of the vine again in God’s Kingdom. I promised myself that I would do some research on those verses. Nice observation! I hope I am reply to the right person here. NOTIMPORTANT, it is so interesting that you brought this up. I was just reading that scripture tonight ( i still go to meetings and read the bible and listen) It would seem that according to Matthew 26:29 and Mark 14:25 and Luke 22:18 Jesus will at some point drink wine again in the Kingdom of God. Did he drink wine in Heaven in 1914?! I am being a little sarcastic, sorry. Anyone? How are we to understand these verses? We might not fully understand until we are there. Brother Jojo , it will be the sharing of his sacrifice then . We will go through much the same as he did in his short time on Earth , and as we endure as he did , we share in those things , and the joy of success in our ministry too . But then , we will fully partake of the promise held out since Abraham , and since Genesis 3:15 . Then we will dine with our Savior . Scripture tells us that wine makes the heart of man rejoice. 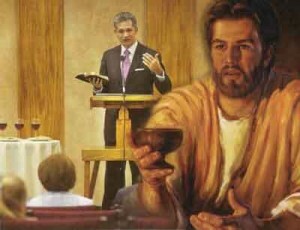 Jesus and the apostles drank the wine to celebrate and institute the beginning of something very important and special. His comments in those three verses may then be a metaphor for what was to come in the heavenly reward. “Eye has not seen” what we will see someday. Jesus knew the joy that they were in for, and he knew that once his task on earth was done he would be in heaven again, restored to glory in a perfect spirit form. He also knew that his followers would be with him there someday in the future. What a reward! What a celebration. Thanks brother Greybeard! Every year these things way heavy on my heart, just as they do for many. I have been partaking at home since 2010. I have never missed a Memorial but its really starting to bother me rejecting the emblems at the Kingdom Hall. It is surely weird the way we touch the emblems but reject, as if this shows some sort of special respect. Odd indeed! On a related note, please keep brother Jim Wheeler in prayer as he was disfellowshipped a few weeks ago. He is one of the brothers who are editors of the 2001translation. Evedently the Society requested he remove the translation from the internet but he refused. He has a fine commentary there about the New Covenant, how we are all included and should partake. We will all mention brother Jim Wheeler in our prayers. Do you have a link to his website? Hi GB! GB, that’s funny! Sorry everyone I am in a mood tonight! Seriously though is the following a ” straw man ” argument, red herring maybe? I am curious if you can explain it to me. It is from the Reasoning Book, under Memorial. Does John 6:53, 54 indicate that only those who do partake will gain everlasting life? This eating and drinking would obviously have to be done figuratively; otherwise the one doing it would be violating God’s law. (Gen. 9:4; Acts 15:28, 29) However, it should be noted that Jesus’ statement at John 6:53, 54 was not made in connection with the inauguration of the Lord’s Evening Meal. None who heard him had any idea of a celebration with bread and wine used to represent Christ’s flesh and blood. That arrangement was not introduced until about a year later, and the apostle John’s report about the Lord’s Evening Meal does not begin until more than seven chapters later on (in John 14) in the Gospel bearing his name. Jesus here at John 6: 53 is speaking to Jews , who had a natural repugnancy of such violations of The Law which forbade blood or canabalism . In other words , they had to have balls to stick with him . At kingdom halls , these days , when one partakes of the wine and the bread , this one is viewed as having great intestinal fortitude also . Our leader may have known in advance that we would be on our way to him with opposition from this world , even from professed Christians . Not all Christians have such faith as to celebrate the death Of Christ and eat wine and bread . But the man from Nazareth urged his family of brothers to do so , until we dine with him in His Kingdom . I apologize if this is not the proper place for this question. This has always been a spot of confusion for me. I felt that my question of “why don’t i partake” was always answered with scriptures that vaguely seemed to point in that direction. Enough that I felt my question was juvenile. “Everyone else seems to get it”. The real question at least for me in my own mind is: am I under the new covenant or not? If Jesus isn’t my mediator ( which I’ve never accepted that viewpoint) and his new covenant is only for priests… Then by default wouldn’t I still be under old covenant? Besides that I see no way around the argument that Jesus coming will be real and tangible. He came once…. What would be the logic to say he was coming again and it be figurative. Am I really to believe that Jesus has had no joy since leaving the apostles and that that’s more likely than him actually drinking real wine here again? I enjoy your comments. It’s truly a pleasure to read critical thinking without the hate and anger. Nice! I will read that in the insight book myself. I get what you are saying. There is a point where people stop reasoning and just start regurgitating what they think they know. As humans we do not really ” know ” very much at all! We have God’s infallible word, we know it is truth. We are told to ” keep testing ” not use phrases that turn off our gift of reason. Also, thanks Danny-B! I appreciate your comments. Weren’t other people listening to Jesus besides the Jewish leaders? His true disciples were not stumbled. So when the Reasoning book says ….. However, it should be noted that Jesus’ statement at John 6:53, 54 was not made in connection with the inauguration of the Lord’s Evening Meal. None who heard him had any idea of a celebration with bread and wine used to represent Christ’s flesh and blood. That cannot be a true statement. Jesus was alluding to the New Covenant, in my understanding. His disciples just did not grasp the full import of what he was saying. Am I off base here? I agree with you! The Reasoning book is WAY off base IMO. Sorry, I am not trying to hi-jack anything. I am just up late trying to work some things out. I loved your article. Very encouraging. I went out and bought some wine today. Maybe that decisive move has me fired up tonight. That is very thought provoking blog. The current ‘Memorial’ ritual is very strange indeed even to many rank and file JW’s. Back in the 30’s when all were anointed and ‘partook’, it must have been shocking when when it was announced that “from now on, not all will go to heaven” and for about 2 years, those with the ‘earthly hope’ did not even attend the Memorial. Then “new lite” was shed and the ‘earthly group’ was invited to attend as “respectful observers”. One of the scriptures that is read at the Memorial each year is Luke 22:19,20 where it describes Jesus as passing the bread and the wine around to his disciples and telling them; “keep doing THIS in remembrance of me”. The word “THIS” stands out in my mind. When Jesus said “keep doing THIS”, was ‘THIS’ referring to the actual partaking of the bread an wine or just the passing of the bread and the wine? 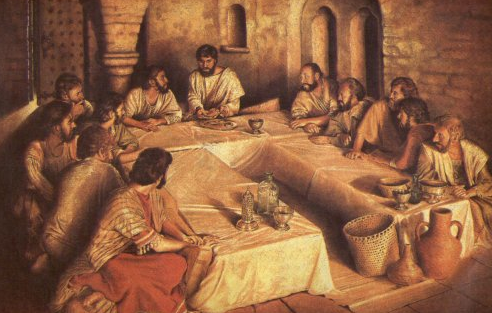 I believe that he was telling them to eat and drink and not to merely pass the bread and wine around to each other. “Keep doing THIS in remembrance of me”. But of course I could be wrong about the word “THIS”. At one time I actually believed that “THIS generation” referred to those born around 1914 and ending around 1994. Clearly, Jesus evidently meant that the word “THIS” can have ‘overlapping’ meanings. All the different comments, the lovely points of view are wonderful. We are BELIEVERS. We are brothers and sisters. We may ponder over what it means and we may not all understand it exactly the same, but we can still be a part of the body of Christ. No man can accomplish this- only God! Trouble is, she (and we) accepted the Society’s idea that those with the earthly hope should not partake of the Memorial emblems. In those days, we weren’t inclined to question what the Society said. The New World Translation introduces the word “covenant” in explaining Jesus’ promise to his disciples regarding the kingdom. Only Luke mentions this conversation. It is of significance that the Greek word that is commonly translated as covenant (διαθήκη) does not appear at Luke 22:29, although Jesus used it a moment earlier when he talked of the “blood of the covenant.” (Luke 22:20; Matt. 26:28) According to the original Greek, Jesus promised to give (διατίθεμαι [diatithemi]) his disciples the kingdom. In other Bible Translations the word diatithemi is variously rendered as: to give (BBE, CEV, ERV, GW, NIRV); grant (NetB, NLT, TLB); appoint (ASVB, Darby, KJV, Litv, RV, Tyndale, Young); confer (AMP, ISV, NIV, NRSV, TNIV); assign (ESV); bestow (Holman); dispose (Douay). I just loved your article, you brought out some great points. I’m going to use it as a guideline when talking to my boys tonight. Last year I attended the memorial at the kingdom hall and no-one spoke to me even tho I’m not df …..I chose to fade instead. This year I have received several invitations inviting me to attend April 5th, all from my best friends I once had. In a year and a half I have been “shunned” by them, they have not asked me how my children are doing or anything. I went to the kh last Sunday ……I won’t be going again……I felt a big separation for the first time sitting there, God’s spirit was so lacking there. I love all the comments here, I have a question though and would appreciate your thoughts. I have a 7 year old and 10 year old at home, how do I prepare emblems and conduct a talk?????? I’m using my phone to send this message, sometimes the words get scrammbled in the process. I agree with your reasoning and after 2 years of deliberation I have decided to do my own private memorial with my wife. My boys who are R&F will not be joining us. As I mentioned about 2 years ago I started to ponder on this subject and posted a lengthy article on e-Jehovah Witness website. It is rather long and with your permission I would like to post it. If you prefer I can PM the article to you for vetting. One of the main points I make is that consideration must be given to the prophetic patterns that clearly show (at least in my mind) that anointed and non-anointed alike should partake. As a quick example, when the Jews were coming out of Egypt who was required to mark the doors with blood? Jews and non-Jews who exercised faith. Another question. Was there ever a distinction between Jew and those non-Jews in law or were they all bound by the same regulations? I could go on, but there are many, many patterns that show when one is in God’s household, ALL are bound by the same requirements. I believe you are doing the right thing in partaking. As far as your article you can send it to me at greybeardjws @ gmail.com and I will review in then forward it to JJ. You also could post it on the forum right away. As far as this blog goes we try to keep things simple and straight forward. Some great articles have been submitted that do not fit the format that JJ is trying to hold to. Some have felt hurt that we don’t post them so please never take anything personal. This is why we put the forum up so all may share what they feel is important. Many things are very important but they don’t always fit on the blog but do the forum. I will be attending the Memorial this year and will be considering these points as the event progresses. I wonder what guilt the Governing Body bears by teaching our brothers and sisters to abstain from partaking? Surely the Lord will take this mis-education into consideration at our judgement. However I feel that once the spirit has opened your eyes to the real significance of partaking, that we must do so. Like some here on the site, I will be partaking of the emblems later on that evening at home. I pray that Jesus will see that I desire to be one of his followers. Surly YHWH and Christ will take into consideration every person on the planets “mis-education” I would hope. How could he not? He not only died for our sins but the whole world right? (1 John 2:2) Like you I also pray Christ can see my desire. All we really are is unworthy servants right? (Luke 17:10) Thank you for your continued help and support in this struggle. Good for you brother. It is a big step to do this, and at first seems unnatural due to the conditioning we have received. However, the first time I partook, it was the most significant Lord’s Supper I have ever experienced, and I have always been moved by the yearly event, ever since I was young. To be a real part of it, to actually recognize that Jesus is my head and that I am a part of his body is a powerful and wonderful thing. “Kαι εγώ κάνω διαθήκη με εσάς, όπως ο Πατέρας μου έχει κάνει διαθήκη με εμένα” [“and I make a covenant with YOU, just as my Father has made a covenant with me”]. That is how it reads in the New World Translation in the modern Greek language (published by the Society and available since 1997). It is a word-for-word translation from English back into Greek (the Greek books of the Bible—from Matthew to Revelation—were in the NWT translated into English from the Greek based on The New Testament in the Original Greek, by Westcott and Hort. Westcott and Hort’s text does not include the word “covenant” at Luke 22:29. Check your own Interlinear Translation). Adding the word “covenant” (even twice) in that verse is dishonest, and even worse, misleading! (The New World Translation is available in whole or in part in 80 languages, all of them translated from the English NWT into their various languages). This is one example of how interpolations have found their way into the holy Scriptures; translators taking it upon themselves to make unlawful adjustments and changes in order to legitimize their own doctrines and traditions. (Matt. 15:8,9) —see Footnote. Does it really matter whether or not Jesus made a “covenant for a kingdom” with his disciples; or that he was simply assuring them that they would receive the kingdom as he had promised them on earlier occasions? It matters a great deal, because as is evident in the above Watchtower quote, the Society points to the “covenant for a kingdom” to explain the “new covenant.” According to their interpretation the new covenant is not about forgiveness of sins and reconciliation with God; but rather about ruling with Christ in his kingdom, and thus includes only the 144,000. (compare Matthew 26:27,28; Rom. 5:8-10; Eph. 1:7) This teaching directly affects other doctrines, such as: who are permitted to partake at the Memorial of Christ’s death; who are God’s sons; the claim that Jesus is the mediator only of the 144,000; only the 144,000 are declared righteous by God; etc. (Gal. 3:26; 1 Tim. 2:5,6; Heb. 8:10-12; 1 John 2:1,2) These principal teachings are founded on the interpolation of “covenant” at Luke 22:29. Deep points- thank you for that explanation of the Greek text and how it diverges from the NTW rendering. Your scholarship is evident- thank you. Hopefully we will hear more from you on this and other topics! Those were really interesting points Baruch, thankyou so much for sharing them! I’ve already used them in a debate with someone! Excellent research! Does anybody have any guidelines on celebrating the memorial at home? For example the type of wine and bread to be used? Perhaps some appropriate brand names for US and English audiences. Also, will you have a meal before hand like Jesus did? I plan to but I’m not sure what to have. I know lamb will be on the menu, but what else? Roast potatoes, bread and what about ‘bitters’? What are they? I want to do it like they would have done in the first century, a proper meal followed by the Lord’s meal. I also plan to watch the Passion of the Christ. This is such a moving film and shows what Jesus really suffered for our sakes. It is a bit gut wrenching, but truly would the psychopathic angel (aka Satan) been less cruel? So any suggestions would be welcome. The publications have some suggestions on wine. You can look it up it the Watchtower library if you have it. In the past at home I’ve used a red wine like merlot. The bread I make myself. Personally I just use wheat flour and water and then bake it until done. Yes lost sheep I do this every year this is what I do…buy Passover matzo you can get that at any store make sure its says for Passover on the package…for the wine use Manischewitz concord grape will do..make sure it says in the bottle kosher for Passover. as to how to do it…read scripture on the account of jesus passover and death..then make a short prayer before eating matzo and do the same with the wine. then finish with prayer to God for the Occasion…make it simple and sincere…thats all I hope this helps. The bread is quite simple- flour and water. There is a recipe in the WT Lib if you do a search you will find it. As for the wine, any basic red wine will do, such as Burgundy, Cabernet, or Merlot. The meal itself is not spelled out in scripture (that I know of) and is not really part of the celebration which Jesus instituted. I know some brothers that have recommended that film. I tried to watch it and had a difficult time getting through it to the end, as it was so gory. That is only my opinion though, and if a Christian watches the film to gain a deeper appreciation of what Christ did that is their conscience and choice. The fact that you take it seriously and plan to commemorate it is commendable. In regards to the two Greek words that are discussed it also gives rise to the interpretation that only those who will be chosen to go to heaven have their sins forgiven and that Jesus is their exclusive mediator. The Watchtower in effect teaches that the so-called remnant on earth today and those who are in heaven are akin to being co-mediators and that those who are destined to live on earth are still in their sins or that the forgiveness of sins is dependent on their association with the organization of the JW’s. This also reminds me of the Roman Catholic’s teaching that Mary, the mother of Jesus, is a mediatrix. A mediatrix of all graces as they say. This also shows that one interpretation can lead down the road to another interpretation all based on a fundamental false premise. Here is another point that I thought of sharing with you brothers out there..IS DEDICATION NECESSARY FOR SALVATION?..stop and think this one brothers..? What does the bible really teach? Why did Jesus require that his disciples be baptized? Well, it was a fitting symbol of their wholehearted dedication to God. . . I agree with the numerous comments made-some serious questions are raised-did Jesus just want emblems passed around without any partakers-when a person really looks at how it is done entirely without bias or prejudice-it would seem to be a very meaningless ritual. And because just about everyone there hs been programmed to believe that they are NOT part of this covanant, no one partakes-so if a person does genuinly feel they want to partake for the right reasons-and they dont or perhaps never had any congregation privilages-they dont-because perhaps no one would take them seriously or it would confirm to others that maybe you really are a lunatic. The comment that struck me the most is about a ring symblizing marraige-its only a symbol thats all it is-if two people in private promise to love and cherish each other for life-it is a marraige from the standpoint of the creator-even if no rings are exchanged. Meaning that a person with a heavenly hope does not have to partake at a jw memorial celebration-not if it is a farce. If such a person feels through his conscience that he must partake-and believe it is a matter of conscience, best be done at home or just go to mass and partake. A person who truly has such love and wants a special relationship with Jehovah God would not hold back from freely dedicating his life to him. Baptism is but an outward symbol of that dedication. It is a necessary step toward salvation. —w93 4/1 5-7 Should You Be Baptized? How many Scriptures will you find to support the above statement from the 1993 Watchtower? What Scriptures do you use when you teach your bible study as to WHY they must get baptized? By our “Dedication and the symbolizing of it by baptism” are we not teaching that we must EARN salvation? Some baptized Christians need to pray earnestly because they are not living up to the ministerial obligations they assumed when they made a dedication to God. —w99 11/15 19 Are You Fulfilling Your Whole Obligation to God? Therefore, regardless of how many years we may eagerly have awaited the end of this wicked, unjust, and violent world, we must zealously live up to our dedication in accord with our circumstances. —w98 6/15 21 Jehovah’s Organization Supports Your Ministry. May we therefore fulfill our dedication to Jehovah and not “shrink back to destruction.” —Hebrews 10:39. —w98 7/15 19 Have You Entered Into God’s Rest? The articles offer no Scriptures that mention the necessity for any dedication. Neither will you find any at all. Like Christendom with its Trinity, we cite a scripture and then stretch it a bit here and there to make it fit just what we want it to say. And we fully expect faithful servants of Jehovah to accept that. But, just as we tell others, if it is not found in the Bible it is not from God. And somewhere along the line it will conflict with God’s Word. I’ve been following your comments with interest. I cannot agree with you more on how the WTS is so critical of how other religions ‘stretch’ the scriptures to fit their teachings and doctrines. Isn’t it true that most people willing accept the scriptural interpretations of their particular religion? Most of us are sheep that follow ‘our religious leaders’ because that is the way we were raised and it’s easy even if it doesn’t seem logical. I know that many JW’s wonder about things within the WTS doctrines but do not question for fear of being branded. ‘Cherry picking’ several unrelated scriptures to support an unusual or illogical teaching or doctrine (2,520 lunar years verses solar years–day for a year) was one that I had a hard time accepting. Growing up as a JW I felt secure in knowing that the WTS had the answer to every question that could be raised in the Bible. It was satisfying knowing that we did not use the excuse “it’s a mystery”. When I finally woke up I realized that ” It is much better to have questions that cannot be answered that to have ‘answers’ that cannot be questioned. Why I didn’t realize this decades ago (1975 or 1995), “it’s a mystery”. Each year, printing plants of the Watch Tower Society and similar legal bodies supply Jehovah’s Witnesses with millions of Bibles, books, brochures, and magazines for use in their worldwide preaching activity. These legal entities are therefore invaluable in helping dedicated servants of God to live up to their dedication to him. —w98 3/15 18 Living Up to Christian Dedication in Freedom. If they agree that the unbaptized publisher has a reasonable understanding of Bible teachings and qualifies in other ways, they will tell him that he may be baptized. As a result of his dedication and baptism, he becomes ‘marked’ for salvation.—Ezekiel 9:4-6. —w96 1/15 17 Jehovah’s Sheep Need Tender Care. This was the subject of an email I received from a dear older brother some time ago. I know personally that we have always had 8 to 12 left over magazines each month and that’s probably typical of many JW families. Probably 25% of all literature printed is in JW homes. Also, I agree that it is a bit legalistic to have to qualify to be and ‘unbaptized’ publisher and then to have to qualify again to be baptized. Who qualifies us to be Christians? well I am sure you brothers had enough of my post…lol but I will leave you with this to think about?..Our trinity of dedication, baptism and salvation has caused us a great deal of suffering. It is the means by which we judge others. We measure our brothers’ spirituality by it. And we compare each others works by how well we live up to our dedication; publishers within the congregations, congregations within their circuit, and the circuits with the national average. And yet, it is nowhere taught in the scriptures. What is taught though, is that we must NOT judge, measure, or compare. (Rom. 14:10; Gal. 5:26; 6:4) And so we make God’s Word invalid by our tradition. You should go to the forum and explain this in 1 or 2 posts. Maybe simplify it for ones like me. Because it’s all greek to me. I understand what you are a saying. If we start with a false premise then we build a house of cards that will sooner or later collapse. We do appreciate your research but this blog is meant to stay on subject. You have taken things beyond the subject and made some very lengthy posts. That is what the Forum has been set up for. We hope you continue with us. Brother Baruch , you summed up beautifully . Crystal clear . Thank you . Please stay with us! We hope you join the Forum and share your story with all of us. I look forward to hearing it. i found this coment on another site and want to know why is it they still doing it,in not saying we shouldnt im saying they shouldnt if they arte going by what they say is truth, which is that he returned in 1914. Each of the points raised will be examined one by one. 1. This eating and drinking would obviously have to be done figuratively – agreed. Jews could not eat blood or human flesh without violating Gods law. Yes, isnt it a shame the way they try to dance around this. Surely when the Helper, the Holy Spirit arrived it helped the disciples recall these words and understand their true meaning. Then they could understand it is figurative eating and drinking of his body and blood. Also, he plainly said such at the last supper! He even plainly linked this figurative eating/drinking to the New Covenant saying…’ drink out of it ALL OF YOU; for this means my blood of the COVENANT, which is to be poured out in behalf of many for forgiveness of sins’. It is hard to imagine that they would not have understood that all desiring life must be party to this New Covenant thru faith in Jesus and by his sacrifice. Jesus said unless you do…’you have NO LIFE within yourselves’. Another interesting point, in these verses at John 6 he links in the resurrection. ALL Witnesses hold to that hope….yet they teach only the ‘anointed’ may eat of his flesh and drink of his blood….??? My wife and I have been in-active for over 7 years and every year a week before the memorial we mysteriously get a memorial invitation in our door. I’m curious who sticks it in our door. Needless to say we do not go. Usually in-active ones attend the memorial. But since I have learned TTATT, my conscience won’t let me attend. Especially since the numbers of partakers have been increasing and the change in the generation teaching. We will have our own wine and unleaven bread at home this year and will ponder on some scriptures. I love how greybeard brought out the scripture that said….”all of you”. but only the portions that are addressed to the anointed in the way of explaining what Jehovah’s spirit was doing within them, as it was something entirely new and needed explaining. The earthly hope never needed explaining as it has been common to all mankind. If this raises questions or seems confusing to you I am hoping to address it soon in the forum called new covenant. JJ sent you that email. Can you please check it out? Thank you Eric and welcome to our site! We are glad you are here! Whatever God has in store for me, heaven or earth, I will be ok with it. My hope is heaven as I believe the Christian hope is to be with our Lord. I cannot imagine a more beautiful place. Earth is nice but heaven must be beyond imagination. Is there an app or a way to read a 2001 translation on a iPhone? I believe if you save it as a pdf file you can read it with a pdf app. If you go to his site he has a few different ways of saving it I think. You can also e-mail him questions. Jim Wheeler is a real nice brother. Dear Bro sisters and brothers. .
May our Lord Jesus Christ reign in your hearts and fill you with so much love and peace as you contemplate the memorial of his life. We are one flock with one shepherd. We all belong to him. Called out of darkness into his glorious light. I send my love to you right around the world. Please lets all pray for each other. 1 Corth 11:28 Let everyone examine himself before we take the Lords supper. Last Sunday I had a discussion with my wife regarding the Memorial and how JW’s observe this occasion. She is still trying hard to hold on the the WTS but she is also beginning to see little things that I mention to her. Anyway, I helped her to realize that when Jesus initiated the first Memorial celebration and told his disciples to “keep doing this in remembrance of me” he was not talking just to the ‘anointed’ because the 11 apostles at that time were not yet ‘anointed’. Thats a real good point! Beautiful , Pearl ! Thank you so much for all of these thoughts on the bread and the wine and what they signify . Very nice . Very nice indeed ! I will be celebrating and partaking of the Lords Evening Meal for the first time this year. I will be doing so at home by myself while my wife goes to the local congregation to “observe”. I would like to know how to properly prepare the unleavened bread. Does anyone have any recipes? And what kind of wine should I use? I want to do this properly. I will be partaking at home for the first time this year. I was going to do it last year, but was still in too much doubt. please help me by telling me how to prepare the unleavened bread. what kind of wine should be used. Unleavened bread: Bread, such as unseasoned Jewish matzoth, made only with wheat flour and water may be used. Do not use matzoth that are made with added ingredients such as salt, sugar, malt, eggs or onions. You can make your own unleavened bread using the following recipe: Mix one and a half cups of wheat flour (if unobtainable, use rice, corn or another grain flour) with one cup of water, making a moist dough. Then roll dough to wafer thickness. Place it in a baking pan and liberally fork it with small holes. Bake it in a hot oven until it is dry and crisp. Wine: Use an unadulterated red grape wine such as Chianti, Burgundy, or a claret. Avoid dessert wines that have been fortified or altered with brandy, such as sherry, port or muscatel. Do not use wines with spices or herbs added to them, like Dubonnet and other aperitif wines. A homemade red wine may also be used if it has not been sweetened, spiced or fortified. The WT study sunday sure didnt help my anxiety about the Memorial! One thing that stood out to me was how the focus of the event seemed to be shifted away from Jesus and on to the so called “anointed”. Sometimes I feel like Im making too big a deal out of it all. I know that no one has it all figured out and I try hard to see the good. I guess one of the reasons its so difficult is because its so important,its the very outworking of Gods means for salvation. To me thats a way bigger deal than misunderstandings about something like hellfire or whatever. I dont know what bothers me worse, the way they convince the brothers not to partake as Jesus commanded or the way they misrepresent the way the New Covenant works. One thing thats so strange is how they seem to apply nearly all the benifits of the New Covenant to the “other sheep” but in the same breath say only the “little flock” are party to it. Thats just crazy! I had a friend tell me they understand it as similar to the way a corporation might enter a contract and then the employees “benifit”. This was from a 2010 WT I think. But I ask…Is that a CLEAR bible teaching? Show me clearly in scripure how thats set up? I dont think its there! Another scary thing is that my friend refered to the “anointed” as our “mediators” between us and Christ! Yikes!! Oh well…thanks for letting me vent, lol! Im just tryin to deal! I hope everyone has a blessed Memorial season. The Scriptures give clear answers to all your questions. It is just a matter of knowing where to look. Perhaps the scriptures in the article I mention above, would provide some answers for you. Well, Use 2 b a dub, nobody in the world was “anointed” at that point in time if you are going by the “tongues of fire” and the “filling with the Holy Ghost” at Pentecost in Acts 2:1-4, but, wouldn’t you concur that if anybody in the world was GOING to be “anointed” it WAS the disciples. Do you not agree that they had a measure of the Holy Spirit as we read in Matt. 10:1? It says: “And when he had called unto him his twelve disciples, he gave them power against unclean spirits, to cast them out, and to heal all manner of sickness and all manner of disease.” They couldn’t do that on their own! It seems reasonable to me that the Memorial of Jesus’s death WAS instituted for those who have consecrated their all to love and serve the Lord, who have been anointed by the Holy Spirit, and who are new creatures in Christ (II Cor. 5:17). Accordingly, the terms “anointed” and “consecrated” mean that these persons are running for the “prize of the high calling” as Paul stated in Phil.3:14. Those who have committed their ALL to the Lord have the privilege–no, they are COMMANDED by Jesus–to participate in the Memorial of his death. Jesus said, “This do in remembrance of me” (Luke 22:19); “For as often as ye eat this bead, and drink this cup, ye do shew the Lord’s death till he come” (I Cor. 11:24-26). I think it is reasonable to say that it would not be appropriate for Jesus to command the ungodly or unconsecrated to remember his death as a Memorial for he is Lord over the potential Church members. They are the ones who OBEY him to the best of their ability until the Church is complete–THEN Christ and his Church will rule over the world, the ungodly (Rev. 20:4). You have some good thoughts in your reply. I was not insinuating that the apostles were not in line to be ‘anointed’ in a special way as they certainly were especially chosen by Jesus. Jesus had certainly been ‘anointed’ by Holy Spirit at his baptism so it could be said that there was 1 at the time of the Lord’s Evening Meal that was truly ‘anointed’. I do agree that after his ‘anointing’ Jesus was empowered to impart a measure of Holy Spirit to his apostles. I wanted my wife to start thinking about the point that anyone who takes the name “Christian” (Acts 11:26) should feel obligated to partake of the bread and wine at the Memorial. The WTS makes it clear that it is not for all Christians. There are many occasions in the book of Acts where large numbers, thousands, became believers and were baptized, receiving Holy Spirit, but with no mention that they received any ‘special power’ or manifestation of the outpouring of Holy Spirit. The only point I was presenting to my wife was that so often, the WTS makes a big point out of a seemingly insignificant issue such as the cross verses an upright pole. Does anyone REALLY know? Do you believe that all who accept Christ as their savior (Acts 11:26) should partake of the bread and wine at the Memorial? The WTS tells us that it is not for all Christians. That’s all I was trying to say. Thanks for the info JJ. and sorry for the double post. still figuring this site out. Dear Use 2 b a dub, You asked, “Do you believe that all who accept Christ as their savior (Acts 11:26) should partake of the bread and wine at the Memorial”? Yes, for I believe that we should take our instructions from God’s Holy Word (Luke 22:19)–not a “religious” organization. John 7:39 says “for as yet there was no spirit for Jesus had not yet been glorified”. So, as you correctly pointed out, the disciples (and the prophets prior to them) could enjoy a measure of Gods Spirit, it does however seem apparent that at the time of the Lords Evening Meal the disciples were not “anointed” and as such this was not a requirement to partake of the Christ. Where does the term consecration (or dedication) appear in the scriptures with regard to Christian discipleship? Thanks for the comments. I have often read the book of Acts to see how the early Christians really did things. It appears to me that when people became believers in Christ, in some cases they received Holy Spirit first and then were baptized and in other cases, they were baptized first and then received Holy Spirit. Not that it makes a difference of course. Some that were baptized and received Holy Spirit were granted special power and knowledge but as for the vast numbers that became believers and got baptized, nothing is mentioned about them receiving special power or knowledge. Recently the Watchtower acknowledged that the ‘remnant’ of ‘anointed’ do not necessarily have greater or special knowledge than many of the ‘other sheep’ that have been witnesses for decades. That comment in the WT struck me as an admission by the GB that the remnant is not really the “faithful and discreet slave”. Heck the GB does not even know who their fellow ‘anointed” are? If GB don’t know who they are how could they possibly know if they the ‘remnant’ is distributing the correct spiritual food at the proper time? The GB certainly knows who the DO’s, CO’s, COBE’s, Missionaries, and other responsible men are. Does it make sense that they should know their fellow “spirit anointed’ brothers? Just saying. A very timely article Greybeard, and I believe that many are starting to wake up to how the organization of Jehovah’s Witnesses have manipulated it’s members in regards to the celebration of the Lord’s evening meal, effectively creating a two tier-class system, one involving the elite anointed ones (especially those of the Governing Body)and the others of the (Great Crowd)who are treated as just alien residents in the spiritual Jewish land. The organization in this way actually mirrors what is going on in the secular world as a whole where we have the very wealthy elites (made up of various secret societies)with a hidden agenda and their secular slaves (the majority of the world’s population) who work for them. And also it mirrors Herod’s rebuilt Jewish temple where a Gentile Court was designed to segregate the Jewish worshipers from the non Jewish worshipers, and even a courtyard to segregate the women. Coming back to the memorial night, both me and my wife for the third year in a row now, have celebrated this memorial occasion last night in the way that our Lord Jesus had intended for us to do. I was wondering what is the appropriate way to dispose of the emblems once I have partaken of the lords supper. I know they are merely symbolic, yet we are warned in 1 cor about partaking in an unworthy manner and the LAST thing I want to do is show disrespect (even though it be out of ignorance). I would appreciate some well reasoned scriptural thoughts on the matter. As you say they are symbols, so whatever you feel is proper you should do. There are no scriptural guidelines and no one should make any rules on this. Heart condition is what is important. I’m glad you partook of the emblems. It is important to remember that it is a meal, as the passover was, and as with meals there are sometimes leftovers that are eaten later on. So if you like wine and don’t mind the nondescript taste of unleavened bread then you are not sinning or disrespecting the emblems to consume them as food the next day etc. The issue in the 1st century was that some were eating before the Lords evening meal, and even getting intoxicated, so that by the time they attended they were in no fit state to appreciate the emblems. The WTS have turned a simple, beautiful and deeply moving meal into a ritual with the same pat scriptural levers that they always use to force us into wrong understandings that serve their own ends, not those of our Master. I partook on my own afterwards at home. The wine I bought even said it was kosher for passover. I was a little rushed to get it but I feel I got the wine in good conscience. Dear heavenly Father above heaven and earth it is through your son Christ Jesus/Yeshua we pray. Thank you for the hope you have given us through the life of your son. Please strengthen us and help us to do your will. So many of us have lost faith and many no longer believe. Is it any wonder the way we have been mislead and treated by those who lifted themselves up over us? Those who have stood in the place of Christ? Many of us have been cast off by our families and friends for no longer following self appointed men. We have been judged and called mentally diseased by those who claim to obey Christ. By those who claim to be our leaders and our mediators. Many have lost faith that you exist because the heart ache and pain they have been through. Please sustain all of us through this treacherous time on earth. Sometimes we feel so alone and especially on a night like this. We once worshiped in a way we no longer view as correct. Many of us now understand Jesus words when he said, “I am the way and the truth and the life. No one comes to the Father except through me.” There is no other way, no religion, no men, only Jesus/Yeshua. He is our only leader as he told us and he leads us with Holy Spirit. We are sorry for trusting in men for so long. We see now where it has left us. We turn to you heavenly Father and your son to lead us. We pray that you give hope to those who have lost all hope. We pray that you give faith to those who have lost all faith. We pray that you comfort those who have given up and find the lost sheep. They have been beaten and abused. Called names equal to “despicable fools” by those who were over us. We have been lied to and cast off as worthless. Please heavenly Father, we pray for those who have persecuted us, we pray for those who have cast us off. We do not judge them or anyone as your son told us not to do. Please forgive all of us for our sins and bring us into your Kingdom where the rulers of this dark world will not be. We want your rulership, not mans. We trust in no man. We want your son Christ Jesus/Yeshua to rule over us forever. We remember this day and what you and your son have done for us. We partake of the bread and cup that Christ commanded us to partake of until he returns. We love you with all of our hearts and souls and ask that you please except our prayer in your sons name Christ Jesus/Yeshua. Every word I so agreed with. Yes! So many of us are all alone. Doing the memorial all alone. Yet we all new our brothers and sisters scattered around the world were with us in spirit. We have taken such a hiding while in these cults only to come out and take more hidings from people we would never have dream would hurt us. Thank you brother for that amazing heart filled lovely prayer. As for the word consecrated, Hebrews is the only source in the New Testament. Heb. 7:28 says “For the law maketh men high priests which have infirmity; but the word of the oath, which was since the law, maketh the Son, who is consecrated for evermore.” Heb. 10:20 says, “By a new and living way, which he [Jesus] hath consecrated for us, through the veil, that is to say, his flesh.” If Jesus consecrated a new and living way for us, I think that it is appropriate to say that we who are stiriving to follow in his footsteps are also conserated. It seems that the terminology comes from the Old Testament, particularly in Exodus when referring to Aaron the high priest being consecrated (Exo. 28:41; 29:9; 30:30). In Ezek. 43:26 we read, “Seven day shall they purge the altar and purify it; and they shall consecrate themselves.” This particular scripture is referring to the activities surrounding the Third Temple which will be built as soon as Christ’s Kingdom is inaugrated; so we see that all mankind will have to consecrate in the Kingdom if they want everlasting life on planet Earth. The spiritual classes will already be filled by then. Good Scriptures sister . It would seem that the various Scriptures that translate into this word “consecrate” mean “made holy” . Is this your understanding ? I see it that Yeshua (Jesus) was glorified when he was resurrected to the right hand of Yehowah (God) , and that his body of brethren will be glorified when raised up to be with him . This is your thought too , isn’t it ? I know that the Bible Students and C. T. Russel considered “consecration” as meaning the anointing , so depending on the translation or version of the Holy Scriptures that we depend on for the meaning of this word “consecration” , our views may vary on it’s meaning . At any rate , it seems that we are on the same track , despite semantics . Very good and thought-provoking thoughts . Thank you . . . I must agree with brother Daniel, you have brought out some good scriptures along with come excellent reasonings. Please compare the thoughts in the following verses also. I understand that He received this position upon His resurrection & ascention to be with The Father in Heaven. I also believe that our “election” will be completed upon His (Jesus) return for His brothers. (1 Cor.15, & 1 Thes.4) Without being controversial, I see “His return”, as being yet future though perhaps imminent. I suppose it does come down to semantics, but whenever I see the word ‘consecration’ I always think ‘dedication’. After years of hearing “you must live to your dedication” and its distorted association with baptism I am wary of terms that can be used to leverage obedience to men and that mask the true understanding of the ransom. The WTS has used the term dedication to foster guilt and comparison between people for so long that it is hard not see the word and get annoyed. Consecrated,Dedicated,Anointed are all terms that could be interchanged but that have slightly different meanings, in the same way that we would not use ‘contract’ to mean ‘covenant’ because it waters down Jehovah’s perfect example of faithfulness. To that end consecrated and anointed are better companion words than dedication because it implies that we are giving something to Jehovah, whereas an anointing or consecration is Jehovah’s gift to US. Not exactly, Daniel. To me it means dedicated to Jehovah God–as perhaps: “set apart for holy purposes”–for instance, a holy sacrifice which must be wholly sacrificed as was the Lord’s goat of Lev. 16:9, which represents the Little Flock of Christians who die voluntarily in the service of the LORD. I believe that you missed my point which was the word TOGETHER in Rom. 8:17–“…if so be that we suffer with him [Jesus], that we may be also glorified together [with him].” I may be wrong about this interpretation, but that is the way I see it for now. I attended the Memorial on the 5th with my wife and oldest son and his family. I’m am now numbered among those who only show up for very special meetings. It was very good to see old friends, brothers with whom I have spent my entire life knowing and loving. To think that just 3 short years ago, during the mist of my ‘awakening’, I gave my last Memorial Talk. After giving the Memorial Talk back in 2009 many of the brothers, including the body of elders, commented positively on the talk. Even my wife,(my very best critic)thought it was my best ever talk. I did not follow the talk “outline” but rather focused on the real meaning of the the Memorial observance and what it signifies for all Christians. I kept it close enough to the WTS standard so as not to cause problems but talked from the Bible, heart, and conscience. I never mentioned any of the stuff about 2 destinies and ‘little flock’ vs. ‘other sheep’. I stressed what it meant to be a Christian and honor Christ in our daily life. The brother this year seemed to spend a lot of time convincing us that there are 2 destinies. He mentioned that last year, 2011, over 19 million attended the Memorial worldwide but less than 12 thousand partook thus the term “little flock” is fitting. That was a new twist and could have been his own words but it may have been in the outline also. Of course, there was no mention that the “little flock” has remained at about 11 thousand for about 40 years now. The brother also included the need to get baptized as a JW, attend all meeting and get out in field service. “The attendants will be happy to assist you in getting started.” About 350 attended with no partakers. The same formulaic use of 1Cor.11 to carry the ritual. The brother who gave the talk was so constrained in his expression except when it came to emphasizing the little flock. I ‘attended’ with my wife and children but left to sit in the car immediately afterwards. Privately my oldest son asked me why the visitors in front of us partook and I said that they were not restricted by a certain point of view and I read him John 6:41-65. So simple- If you are in union with Christ then you must partake. When we got home I partook privately after they were all asleep. A bit late I know but I have to tip-toe around my wifes sensitivity at the moment. The Memorial talk is no doubt the same all over the world, right? That’s because we have uniformity, not necessarily unity although we are told that we are “the happiest people on earth”. I am home all weekend with my wife who had wrist surgery on Friday so I’ve been able to catch up on this site quite a bit. I’ve also seen my wife starting to wake up. I have been able to kindly share with her some of the things that are blatantly wrong. She still defends the WTS but not quite as strongly. We talked about the Memorial during the week and I told her what it now means to me. Something that really struck her was a few months ago when I asked her, “How did our ministry glorify God when what we taught for 45 years(generation stuff) was completely wrong”? I’m sure that you would both benefit from each others company. I sent you an email on April 11th but you may not have received it. So I thought I would try you through the site. Yes, Amos, I agree that it was written in the past tense and that the Son of God had passed his final exam and received his accolades in heaven, but there are other considerations. Strongs #1325 for “given” sheds some light on my interpretation. It says, “to give (used in a very wide application … greatly modified by the connection)–adventure, bestow, bring forth, commit, deliver (up), give, grant, hinder, make….” I thought the word “commit” expressed my understanding best; i.e., “all power is committed to me in heaven and in earth.” I could be wrong about this. One of my main reasons for believing that Jesus is still an arch-angel, as he was before he came to earth as a babe, is one of the verses you quoted, John 17:5, where Jesus prayed, “And now, O Father, glorify thou me with thine own self with the glory which I had with thee before the world was.” Jesus was humble and did not ask for MORE glory than he had before; he asked for the SAME glory. I believe that prayer was answered as reguested–at least for the time being. The fact that the power is GIVEN to him, shows that he is subservient to his Father who has the authority to bestow this power–a sure sign that Jesus is NOT Jehovah God. Currently Jesus’ greatest attention is on the trials of the last members of the Church, IMO. After the marriage Jesus will ask for the heathen for his inheritance (Psa. 2:8,9) and his Bride will “execute upon them the judgments written: this honour have all his saints. Praise ye the LORD” (Psa. 149:6-9). Well, if he Came in 1914 then this celebration as a type is now a shaddow of the reality that christ is indeed eating and drinking with the Anointed as they are resurected in the Kingdom. Not even the anointed need celebrate it. On the other hand, by commemorating it can we assume then that he has not Come in 1914 after all !!! I must apologize for not responding to your reply to me. I have only just seen it since Scooby replied to you. The problem being that it was posted at the time I was just entering a period of extreme illness, this was why I didn’t see it earlier. As it is now quite late at night, I’ll give you a reply tomorrow. These are my thoughts also concerning the memorial observance. Once the Lord returns, there is no need to observe the Lord’s evening meal. Also, at His return, the dead in Christ are raised & the living changed “in the twinkling of an eye.” Both 1Cor.15, & 1Thes.4, bring this point out very clearly. The fact that we are still alive in Christ now, tells me that He has not yet returned. Dear Amos and Scooby, In regard to I Cor. 11:26 which says, “For as often as ye eat this bread, and drink this cup, ye do shew the Lord’s death TILL HE COME,” I think that this is obviously when he comes for the remnant of the Bride class, the “heel” members of Gen. 3:15. My reasoning is this: In Mark 14:25 Jesus says, “Verily I say unto you, I will drink no more of the fruit of the vine, until that day that I drink it new in the kingdom of God”; and we have a second witness in Luke 22:16,18, the latter of which reads, “For I say unto you, I will not drink of the fruit of the vine, until the kingdom of God shall come.” To my understanding this future Memorial service with Jesus will take place in heaven AFTER the marriage of the Lamb. Surely, the Kingdom of God has not YET come. As long as there are spiritual members of the body of Christ on this side of the veil, they WILL celebrate the Lord’s Memorial in remembrance of him until they are taken away to their reward. This is merely logical to me. The Great Company will probably be included at a later date after they have been privileged to partake of the Marriage Supper in heaven (Rev. 19:9). Perhaps the Memorial of Jesus’ death as THE RANSOM PRICE for Adam and the world will be celebrated in perpetuity. As previously pointed out, it is pretty obvious that Rutherford changed Russell’s date of 1874 for the return (parousia) of our Lord to 1914 in order to qualify himself for the position of “faithful and wise servant”; however, I do NOT believe that the “parousia” in 1874 is the “arrival” (NWT) or “coming” (KJV) that is referred to at the last supper in I Cor. 11:26 per the reasoning above. Jesus COMES many times during his parousia according to the Scriptures–sometimes with a chain, a book, a trumpet, a sharp sickle, etc., which are all figurative allusions to various activites he will be engaged in during his second coming. He is certainly free to come and go between heaven and earth at will, but 1874 marked his Second Coming and the beginning of the Judgment Day and the raising of the sleeping saints in 1878. I Peter 4:17 tells us that “judgment MUST begin at the house of God” and until the remainder of the Bride class is taken from the earth to the marriage in heaven, Babylon, Israel, and the world in general cannot not be judged for the saints–the Bride of Christ–PARTICIPATE with Jesus in the judging (Psa. 149:5-9)–“this honor have all his saints.” That is why they MUST be the FIRST to be judged. So can you tell me how many times does the Lord return? In my understanding the return “IS” the return. I have never seen in scripture where His return means coming back & forth between heaven & earth. I believe that AT His arrival certain things are done first. This includes the “raising of the dead saints & the changeing of the living saints,” simultaneously. Please let me know your thoughts on this passage. Is it a simultaneous event, or could this take many years to complete? At this point in time, it would amount to about 134 years & still counting. Could you please supply the scriptural basis for your belief that the Lord has returned in 1874? How can we arrive at that specific date? Why do you believe that the “sleeping saints” were raised in 1878 shortly after the arrival of the Lord, yet the “living saints” would not be raised until they lived out their natural life & died? Is there any scriptures that show this to be the case? I’m not being arguementative here, just trying to understand your views in line with what the bible actually says. Will be glad to hear them. What do others think? Consider that this coming includes these features all at the same time . Dear Amos, Your reply was the most comprehensive, so I will try to address those questions. First of all, our beliefs are a culmination of all our experiences and religious studies of a life time and certainly as we have grown spiritually they have changed proportionally. What I believe is not set in stone; instead it is the place I have gotten to in 60 plus years of study. There are plenty of unanswered questions in the Bible narrative which lend themselves to mankind’s speculation. We, as followers of the Master, make a sincere effort to limit those speculations to Biblical principles to the extent of our ability. As for our Lord’s presence on Earth (IMO): there was his First Advent beginning in 2 BC and his Second Advent beginning in 1874 AD. As a human being our Lord was continually present till 33 AD. Now, during his Second Advent as a spirit being, IS he continually present? I don’t know but I would think not, for that would be rather confining for a thousand years for such an exalted being, wouldn’t you think? I have no problem with an occasional visit to see his heavenly Father during that time period. Jesus has several guardian angels watching out for each spirit-begotten person on earth (Matt. 18:10). Perhaps his coming for the last members of the church is merely a point in time during the thousand year judgment day and not an actual re-entering of earth’s atmosphere. Regardless of the mechanics I still understand that HE is directing the harvest (Matt. 13:30,39; Rev. 14:14,15) and especially the refinement of the last members of the body of Christ for as bad as things are already–perilous times are COMING–and we haven’t seen or experienced anything to compare with what is FUTURE. WE NEED HIS HELP NOW MORE THAN EVER!!! Could you please address my questions to you in reply to your post #69. I think that these are very important points to understand. I have sometimes wondered about this because Jesus obviously ‘came’ to pass judgement on the nation of Israel in 70CE. But I believe he became King on his return to the heavens and was given his throne at the right hand of God as the disciple Steven saw in vision before his death. Since then he has been waiting for all his enemies to be brought before his feet. When he comes there will be no mistaking it. How could it be an invisible presence of any date when the results will be so dramatic that people will be terrified? Every eye will see him and will know. No one believes he has returned yet, otherwise why would anyone still be partaking? I agree with your statement above and I believe Matt. 28:18 supports your general premise about when Jesus became King. Sometime after his resurrection but before his accession. I’m also with you on the whole invisable presence thing. I also agree with your reply here. SIster Ruth totally agrees with what Disappointed just referred to. That is exactly how I see things. It all makes so much sense. Yes, sister Ruth, it does make much sense. Dear Amos, I gave a lenthy reply to your questions on 5/11 and when it never showed up I posted it again on the afternoon of 5/12. This time it came up as a duplicate. Naturally, I too am waiting for it to appear. Perhaps JJ can find where it is located. Sister Willie, thank’s for this information. I have likewise had this same thing happen to myself. It happened again yesterday on the forum section of JWStruggle. I’m just so shocked that someone who claims to be very open-minded like this Greybeard guy would actually read the scripture at 1 Corinthians 11 and just read the verses 23-26. Have you read the verses 27 onwards?? . . . Isn’t it clear that some who were in attendance at the event DID NOT PARTAKE of the emblems, and were even advised to eat well at home before coming to the event, so they are not tempted to take these emblems unworthily??!! . . . . . . . and who told you that at the time of Jesus’ death he had ONLY 12 disciples??? . . . read Luke 10:1; at a point he even sent 70 OTHERS to preach the gospel of the kingdom!!! . . . Why didn’ Jesus invite all these guys to the memorial, but only the twelve (and later eleven)??? . . . had he lost all of these zealous disciples at the time of his death??? on the torture stake were not some of these followers present??? . . . . . . . Get real guys! Open your minds and think! Heavenly life in the new covenant and by implication, the partaking of these emblems(Luke 22:28-30) is not a possession of all!! Infact the majority of righteous ones will live foreover on earth (Prov 2:21,22; Ps 37:9-11,29) and these attend the memorial as respectful observers, and not as disobedient trouble-mongers!!! . . . . Revisit 1 Cor 11 guys . . . . . Get real!!! Comment awaiting moderation????!!!! what is that . . . . . Post the truth and let all read it . . . . . Cowards!!! First off all, you don’t know what is going on. I’m a Jehovah’s witness and you need to do research. We don’t drink the wine or eat the bread unless were annointed. We still participate because Jesus said, “keep doing this in remembrance of me.” There was only 144,000 annointed people on the earth at 1914. They are all Jehovah’s winesses. Give me you’re e-mail Graybeard and I will discuss it further with you. Daniel I want to commend you for coming on this website- thank you for expressing yourself and showing the courage to do this. You are however in violation of what the Governing BodyTM has told you in the Watchtower magazine. They said recently that JWs are not to “visit [dissenting] websites, or comment on their blogs”. Yet you are doing just that. We here at JWS disagree with the mind-control and the dishonesty of the WT Organization. We do not hate Jehovah’s Witnesses- quite the contrary, as many of us that visit here are current Witnesses that have awakened to the flaws of the leadership. They have apostasized from true worship and it is very sad. Continue to do research Daniel and you will figure it out for yourself brother. I grew up a J.W. my whole family are still in the truth, I give up I was never baptized, now Today I end all this non-stop Euro lies.I’m going to pray to the “Other” keep your lies. Hi Dawn its great you did come and talk here. After seeing the W/Tower has been spinning yarns its hard to feel happy because we all thought it was REAL truth. “Instead its REAL lies. Just want you to realise if you go before the Elders they are only men, not Gods speakers for truth. Jesus is the only way. The only truth, Yes thats it! Some of us here have realised its Jesus who will look after his sheep. ‘Dont feel bad leaving the Tower if you do because in actual fact he is bringing you out into his loving arms. If you care to write me at truthistimeless@gmail.com l can help support you and give you needed encouragement so you wont go through it alone. I have a question and a statement. How do we know someone is of the anointed? Just because they say so? Is not that God’s choice? Why do we not all take the emblems? By doing that we are all being humble in God’s eyes saying, “I will do what you want of me”. Maybe He thinks we have qualities that are needed as rulers to show understanding of human needs or backgrounds or maybe he see qualities that would benefit mankind here on earth better. We need to be humble to except what God’s will is not what we think or want it to be. How do we know that the people guiding the Jehovah’s Witnesses are really going to be our Heavenly Kings or is that just what they want to think? It doesn’t seem very humble to think you should be a King, when there is not clear evidence than just because they say so. I think if you except Jesus Christ sacrifice as your ransom you should accept the emblems humbly and let God choose what your future is. How did Peter know Jesus was the son of God? It was revealed to him. You have been revealed a truth and maybe you do not know it. Read John 6 the whole chapter. Then ask yourself. Am I going to listen to Watchtower or Jesus? How far does our world-wide brotherhood extend? Is it limited to just ONE Christian group? Is it limited to all EXCEPT a particular group? Can we personally judge a denomination as genuine or not genuine, while accepting the fact that Christ is the judge and individuals from this or that group may be sharers in the “one hope” to which we were were called? (Ephesians 4:4, ESV) I certainly don’t have the answers to these questions. These are complex notions to contemplate and perhaps impossible to answer definitively.